You get to work, open up your MacBook, and a desktop like this one stares back at you! 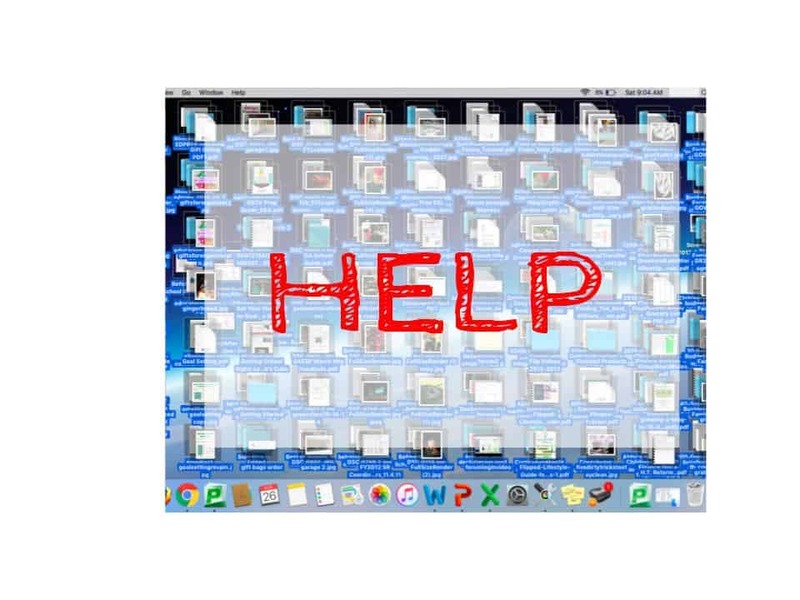 Files are everywhere! 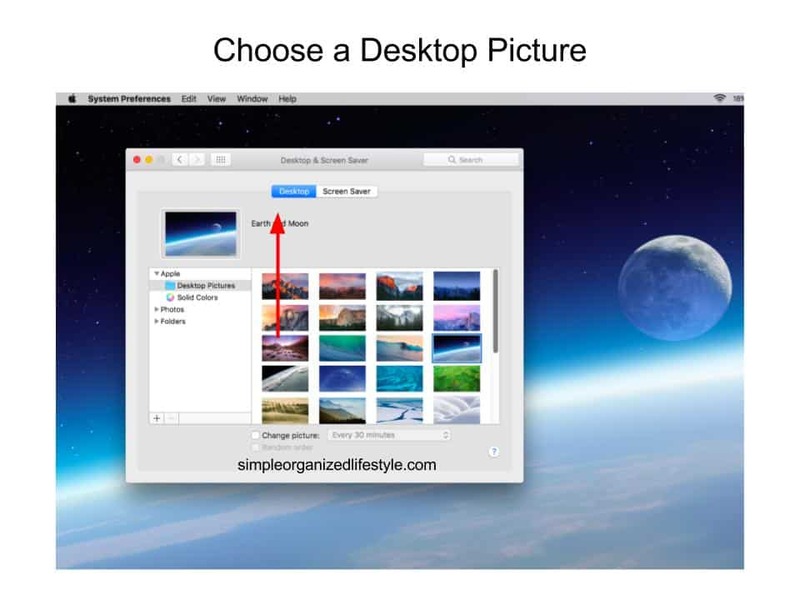 The first step gives your desktop an image that you enjoy and a special message that you want to see everyday. It helps set your desktop and your day with a positive tone. Choose a screen saver message that helps you to achieve your goals. You can also find plenty of positive quotes to use that are most inspiring to you. 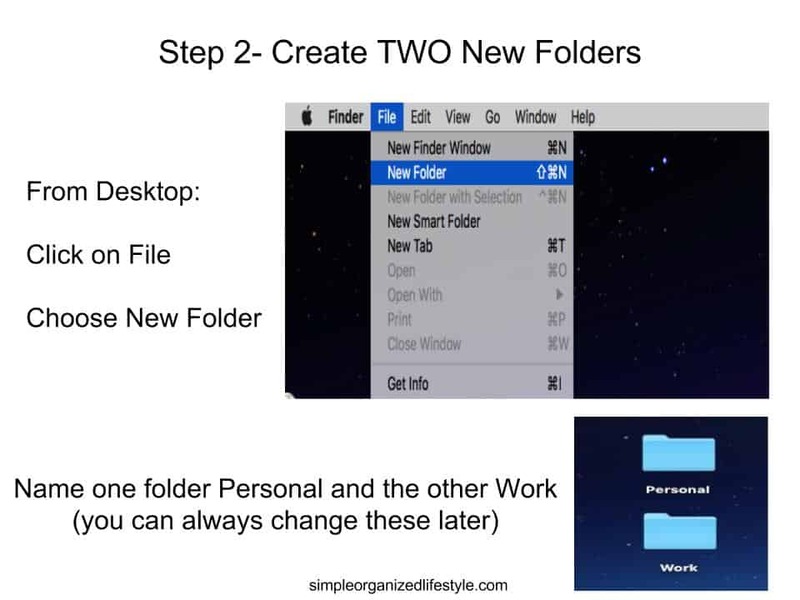 Next, create two new folders that you will use to sort everything. 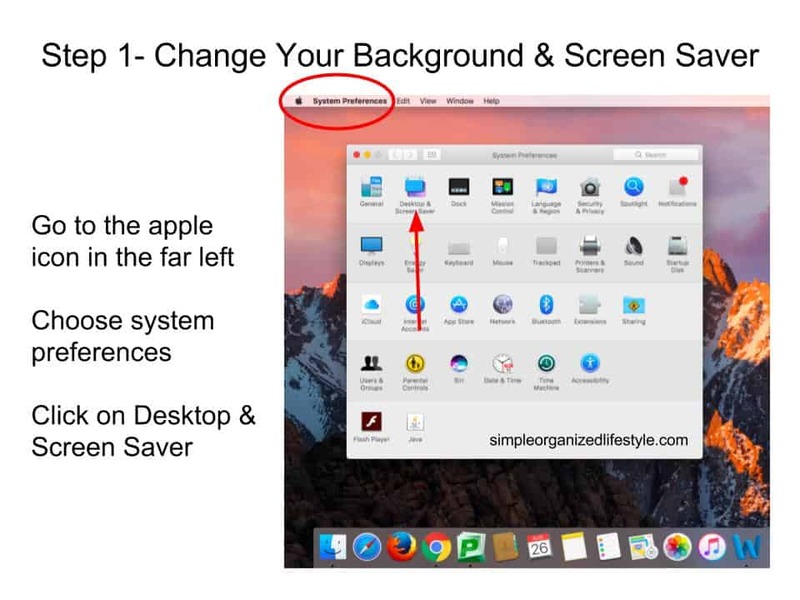 You can always change the names of the folders later but this will simplify the process. 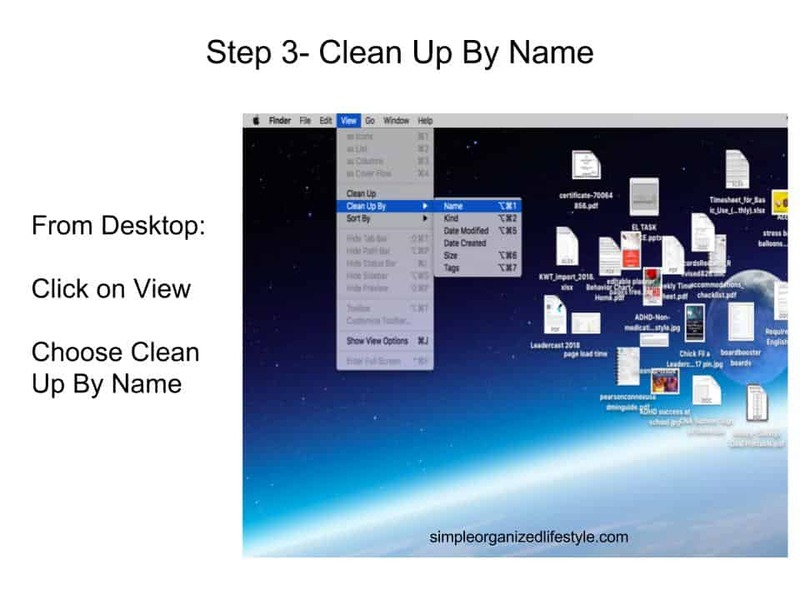 The third step is to clean up your files by name. 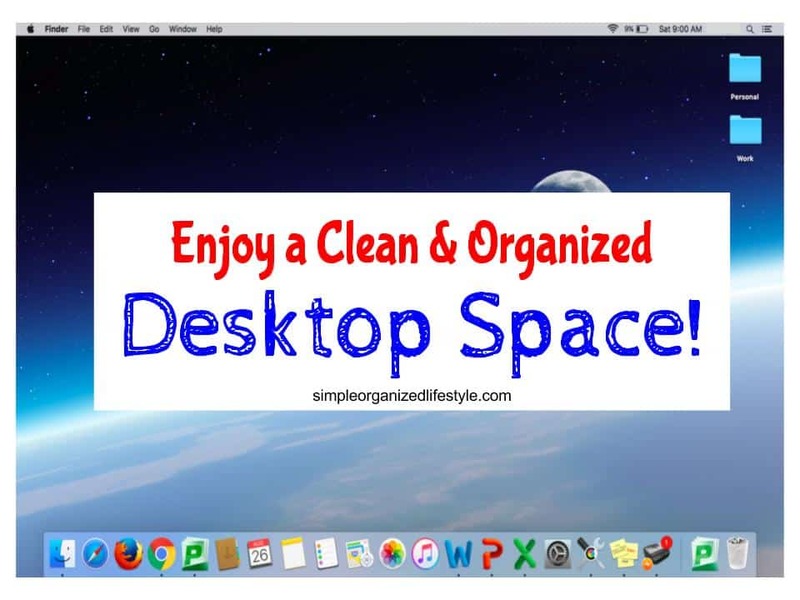 Cleaning up your files by name puts them in neatly spaced rows so that you can easily sort them. You can also clean up by kind, date modified, date created, size or tags… pick the one that works best for your files. 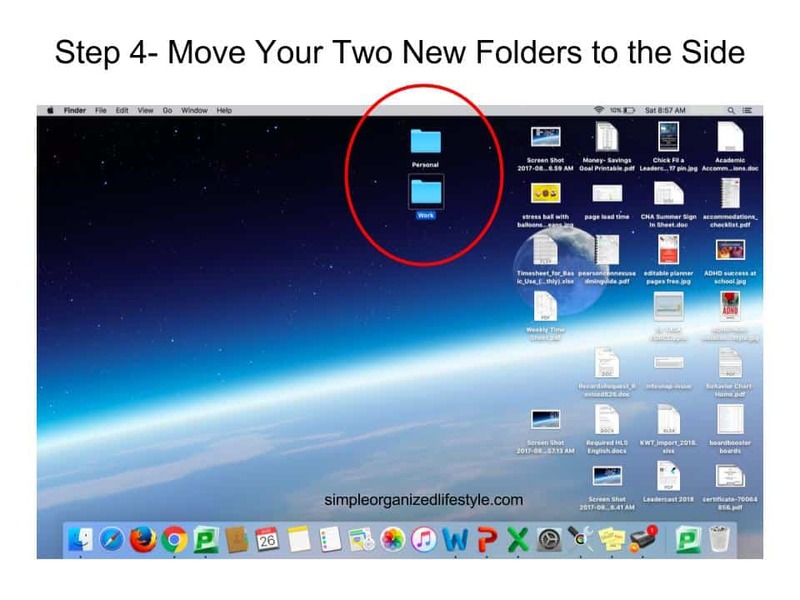 Next, move your two new folders over to a clean space on your desktop to make moving the files around easier. 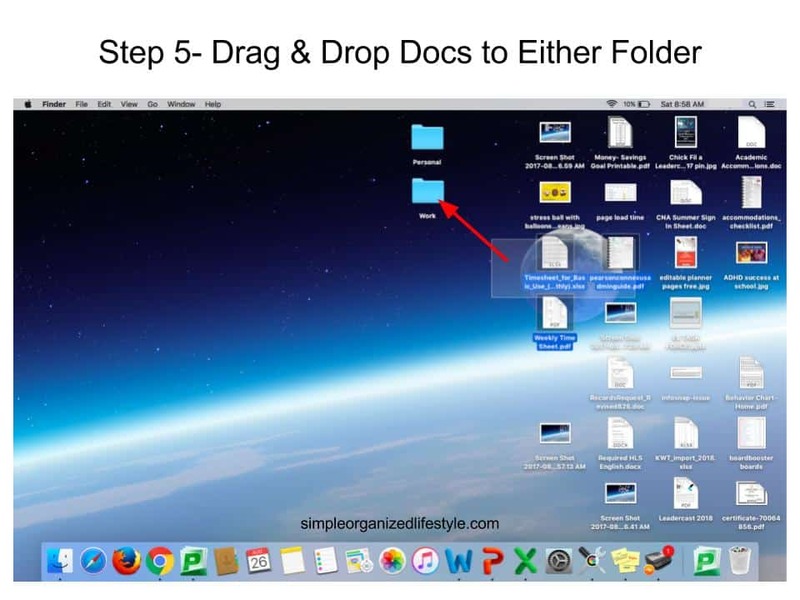 Last, drag and drop your files to either the work or personal folder. 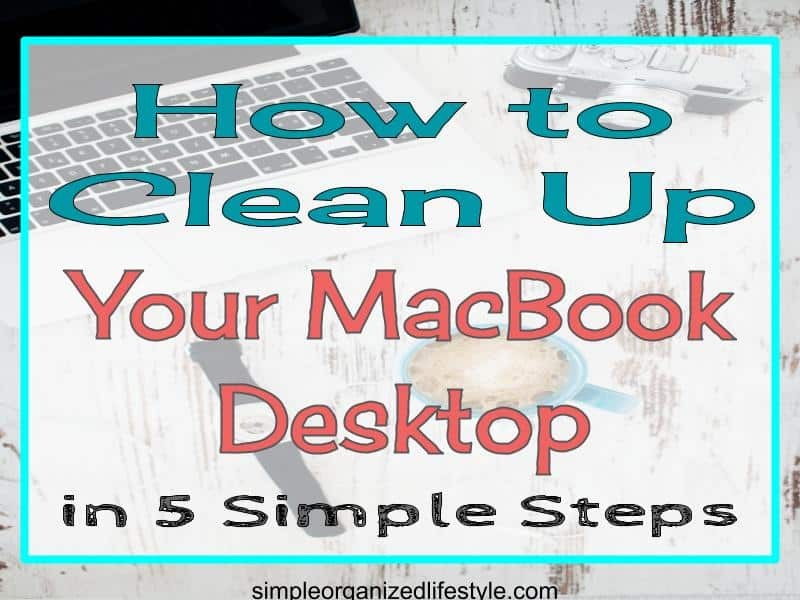 Enjoy a clean and organized MacBook desktop space! 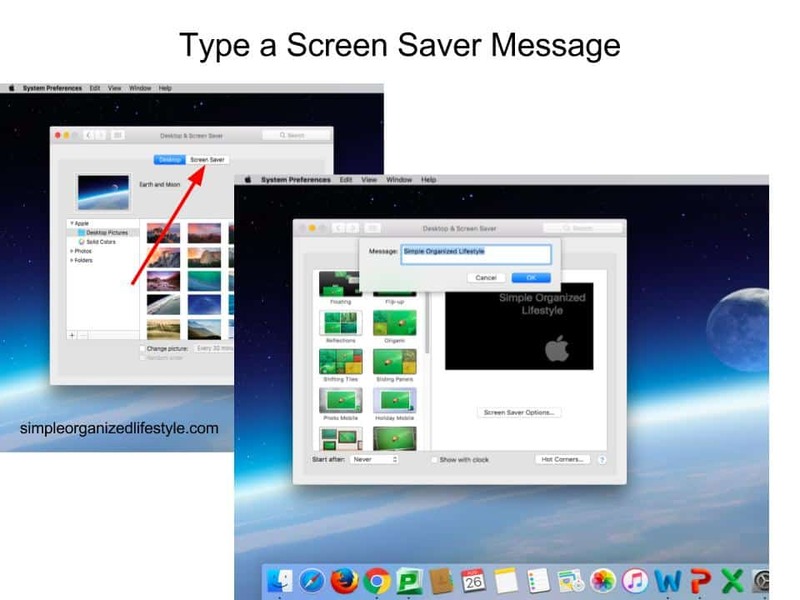 Have more helpful tips sent right to your inbox! Sign up for the monthly SimpOL Newsletter. 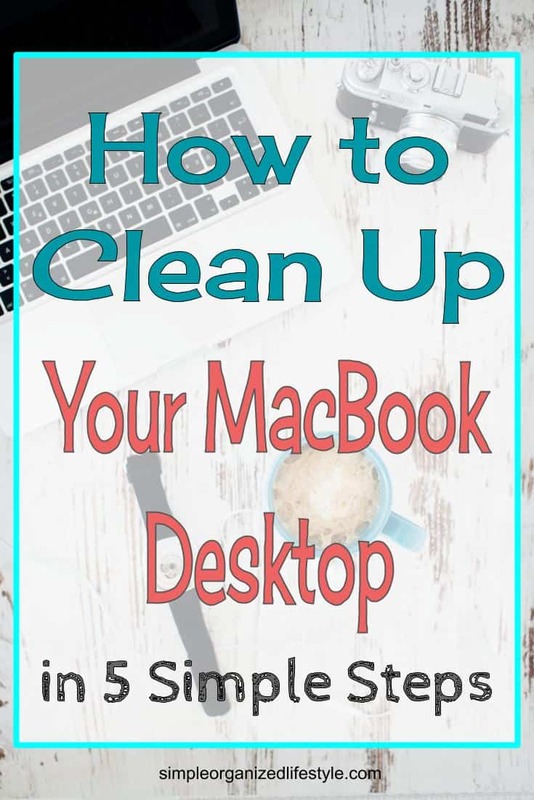 Very helpful article. Thanks for the clear instructions and pictures.